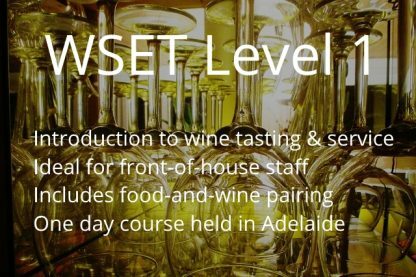 WSET Level 1 – single day introductory wine tasting course. Saturday 15 June 2019, at the Edinburgh Hotel, Mitcham. 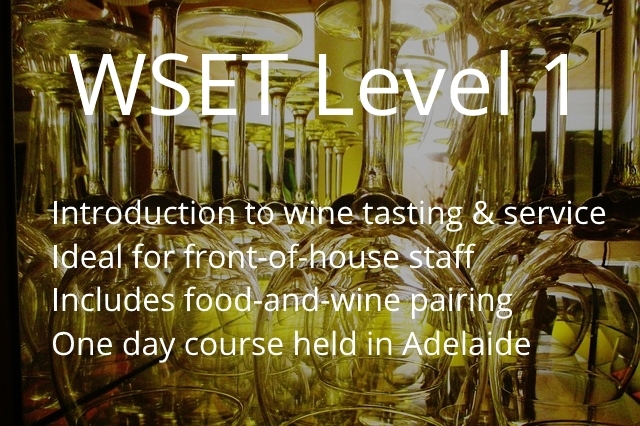 WSET Level 1 – a single day introductory wine tasting course. 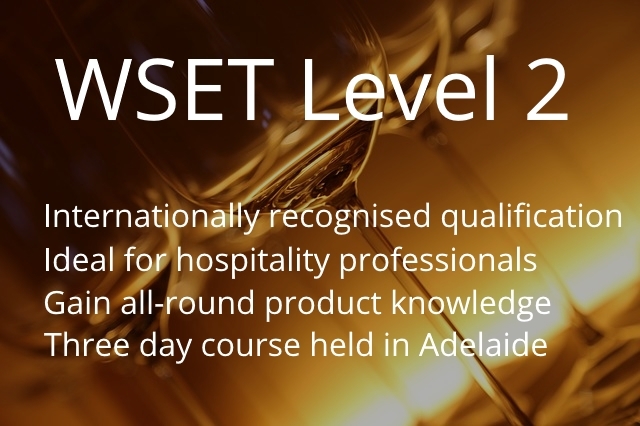 This course introduces students to the WSET’s Systematic Approach to Tasting (SAT), as well as the basics of wine production, service and storage and food and wine matching. We start at 9am and you can expect to be finished by 5pm. The exam is a 30 question multiple course exam, held in the afternoon. 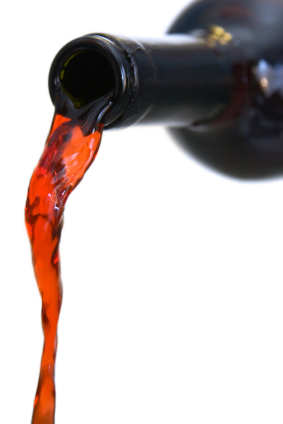 The course fee of $250 is all inclusive – study materials, exams, wines tasted and a light lunch at the hotel. All you need to do is turn up! Registration closes strictly at 5pm Friday 31 May as study materials and exams need to be ordered from the UK. Please also take the time to read our Refunds and Cancellation Policy.